craichoneyco | Craic Honey Co., making honey FUN!!! Craic Honey Co., making honey FUN!!! Another year has passed; and what a year it has been! In the last 12 months we bought out TNT Honey and built a shop for our new extraction facility. Ray and Nancy Temple (TNT) had been very supportive and encouraging of us and our beekeeping dreams. When they decided that 70 was old enough to retire it was a natural move for us to buy their bees and take over their pollination accounts. Because of 30+ years of hard work on their part, we now get to work with some really great farmers. 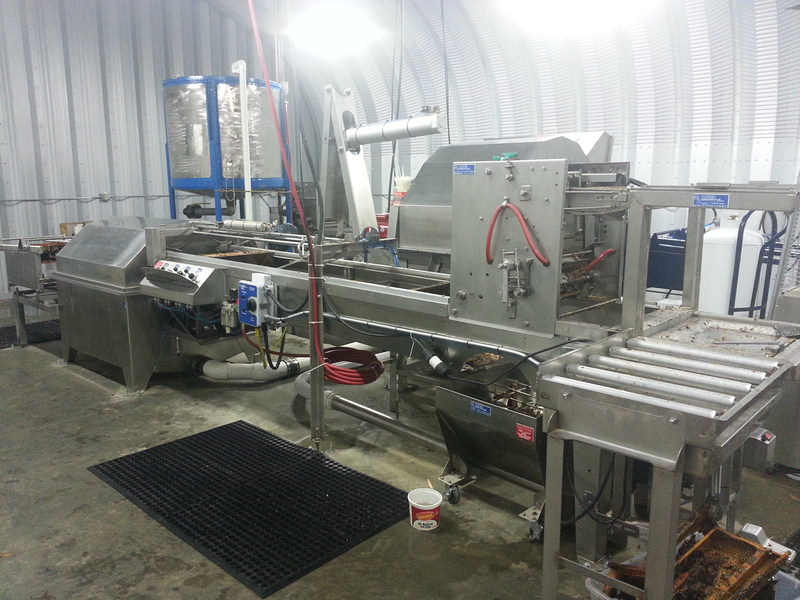 We are very excited about our new equipment, it is much more automated and much less back-breaking. Because it is our desire to grow our business, we will take all the help we can get! The 2013 crop of honey had to go into storage, because the new facility was not ready when we had hoped it would be, but we finally got it finished in January of this year. We actually started this year’s honey season on time. Today is September 1st and we have already ran the extraction equipment 2 full days and we have our start….nine barrels of beautiful Montana honey. We sent a semi truck load of bees to Montana again this year. While pollinating canola, the bees got to visit fields of clover, alfalfa and wildflowers. This honey is very light in color, exceptionally yummy and mostly already SOLD. 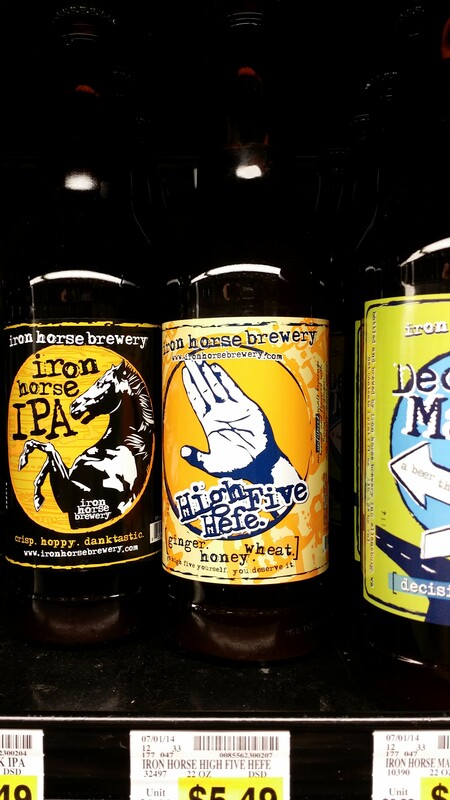 Iron Horse Brewery in Ellensburg, WA, uses our light honey as an ingredient in High Five Hefe. This is an American Pale Wheat Ale, made with honey and ginger. PCC members continue to be big supporters of our darker (mint blend) honey. And we now have another reason to deliver to western Washington; our dark honey is being used as an ingredient in Hunniwater (www.hunniwater.com). 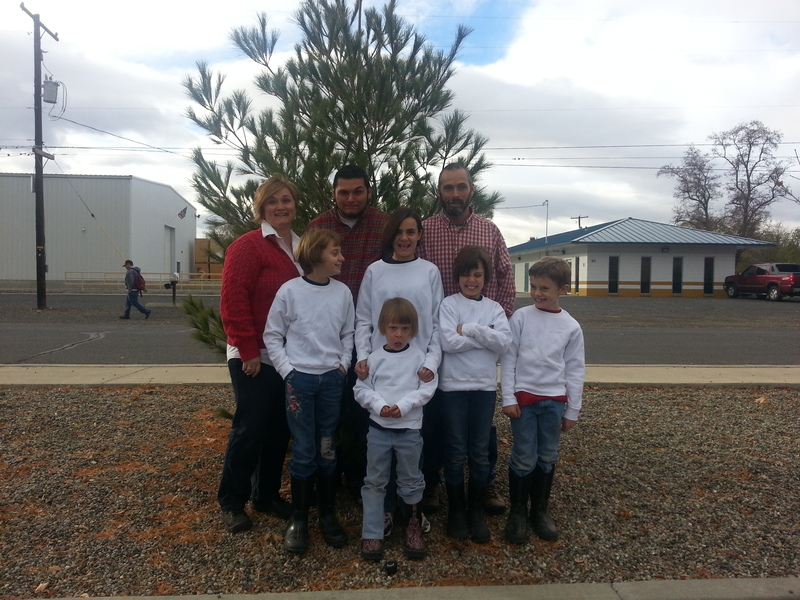 On a personal note; we finalized our 5th adoption in November of 2013 and closed on a new home in December. The house is still in the throws of renovations, but we hope to be moved for Thanksgiving this year. It really has been a big year for us! We are truly blessed! I’m not sure how it happened….again….times goes so quickly at our house. My last post talked about our 2013 California Almond season. We finished in California around the 15th of March. Since that time we pollinated approximately 4000 acres of commercially kept tree fruit, berries and row crops, here in Washington, and put our bees out on honey locations for the summer. Some of our bees had the opportunity for a summer job in Montana. While they were there to pollinate canola, they got to spend some of their free time visiting fields of alfalfa, clover and Montana wildflowers. They came home happy, healthy and full of very light honey. We also placed a truck load of hives in a sunny spot on the Tieton River. Those little workers got to enjoy all that nature could throw their way. They were able to collect pollen and nectar from a variety of things on White Pass; such as Knapweed, Snowberries, Dogwood, Sage, Oak, Locust, Willow and Aspen, just to name a few. In the same area that we pollinate raspberries we also had the opportunity to set our bees in watermelon this year. I wonder what watermelon honey will taste like. Since both the berries and melons are surrounded by mint fields, my guess is that our “watermelon” honey will bare a close resemblance to our mint honey! Bees just love mint! It’s the 4th of October and we really would have liked to have been finished pulling honey at least a week ago…but we’re not. We are up to our ears in honey, bees, kids and building projects and some days are a little on the crazy side, but it’s a good kind of crazy! Have I mentioned that we have five youngsters under our roof, some days it’s MORE than a little crazy!!! But waking up every morning with an absolute belief that our family is right where God wants us, is a VERY good thing. The almond bloom is finished for another year. It was a beautiful month in central California. I wish I could have stayed with the bees and soaked up some sunshine myself. The hives are coming out of orchard full of bees, babies and food. Tim, Jonah, Rich and our bees will be home in about a week and Pacific Northwest pollination will begin. All we have to do now, is complete the very “simple” task of scheduling and hauling 8 or 9 semi-truck loads of bees from California back home to Washington. Spring comes early for a migratory beekeeper. Our first load of bees headed to central California in mid-December and our third semi-truck load arrived safely the first week of January. To anyone who knows the highways between Naches, WA and Oakdale, CA; you know that was no easy task. It is mostly central Oregon that gives us grief….lots of snow and ice and a few crazy drivers just to make things interesting. Tim, Jonah and our very dear friend Rich have made two trips so far this year. The first was in January to feed bees both sugar syrup and pollen patties (protein, amino acids, plant polyphenols, essential oils…..all the good stuff) to ensure that they have plenty of food in their pantries to survive until real spring gets here. And they just returned from their second trip a few days ago. During the second trip the bees got fed again, they were treated for disease and pests and put out into almond orchards. God was very gracious to us this almond season! Not only did we have a below average loss over the winter, but we got to do business with some great people. We have the best farmers on the planet and we get to work with some beekeepers that would give you the shirt off of their back. We consider ourselves very blessed. Next step….get them all home safely for spring in the Pacific Northwest. Where have the last 6 months gone. The last time I blinked our bees were going onto honey locations and summer berry pollination. I looked out the window today, and if I’m not mistaken I saw a fair amount of snow. In between those blinks, Tim and Jonah and assorted silly volunteers pulled very heavy honey supers from more than 1000 beehives. Then the work really started for Tim. In a very primitive extraction facility, that would be adequate for a beekeeper with a couple hundred hives, my machine of a husband extracted more than 45 drums of honey (55 gallons each). It took about 60 hours per week, from mid September through the Tuesday after Thanksgiving. Thanks to my parents incredible generosity (they gave us their garage for that time) we had a warm room, which made all of that extraction possible. Boy were we thankful to see that job completed!! So here we are in the middle of DECEMBER. Our first semi-truck load of bees is now hanging out in central California. We have a few more trips to make. I’m sure that if our remaining bees knew that warmer weather was in their future, they would somehow figure out how to load themselves onto our truck. Our bees are placed in almond orchards by Valentine’s Day, which to someone may seem a ways off, but I’m pretty sure it is only a couple of blinks away. One more exciting bit of news for the Craic Honey Co. family is that our honey, that Tim worked so hard to extract, will now be on the shelves of all nine PCC stores in the Puget Sound region. Our pint jars will be available in January 2013. We are very excited to see what the coming year has in store for us!! Summer is almost here, the bees are being split, put out on honey locations and working in commercially kept berries. If beekeeping is a seasonal business, this is definitely the season. Tim and his band of merry men are crazy busy, trying to stay ahead of the bees. And my phone seems to ring steady with fruitstands ordering honey. All is well with our world, the sun is shining and the bees are buzzing. Next stop, end of summer honey harvest.